Another year has come to a close for Marlton, and residents can reflect on all that’s happened in the township. Lt. Gov. 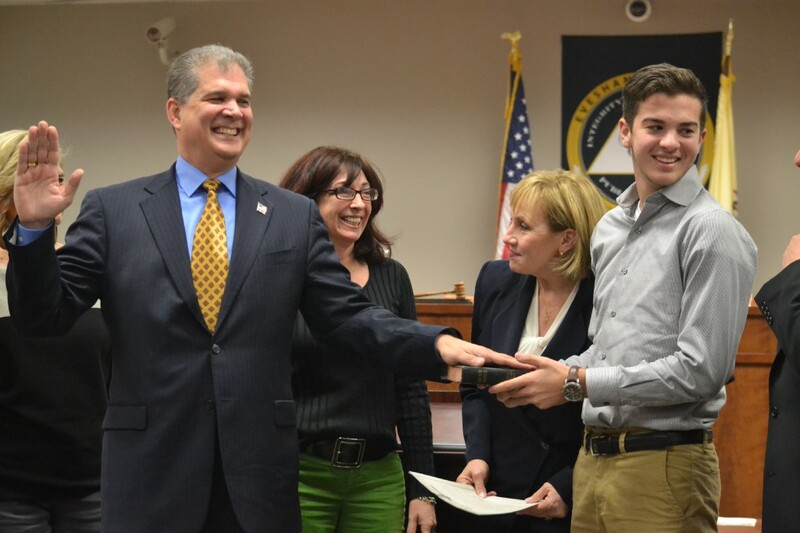 Kim Guadagno swore in reelected Evesham Councilmember Ken D’Andrea as D’Andrea’s son Phil held The Bible at the council’s reorganization meeting. Also pictured is D’Andrea’s wife Laurie. 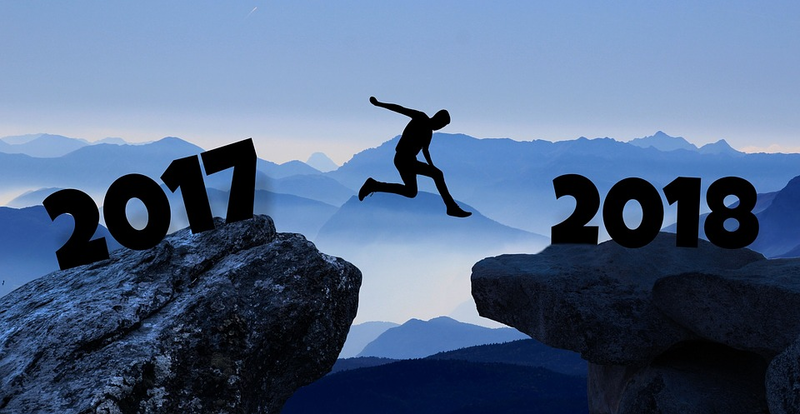 Evesham Township started 2017 with reorganization meetings for Council and the Evesham Township School District Board of Education. On the municipal side of things, Lt. Gov. Guadagno was on hand at the first council meeting of 2017 to swear in Councilmember Steve Zeuli as deputy mayor, with Guadagno also swearing in recently re-elected council members Robert DiEnna and Ken D’Andrea, who had won re-election to council the previous November. Mayor Randy Brown praised his fellow council members during the meeting for continuing to serve the township, with every member of council having served as the township’s deputy mayor at least once in the decade since he was first elected. “The requirements on our time as a volunteer job get bigger and bigger every day,” Brown said. For the school district, the BOE seated two new members in 2017 — Dennis Mehigan and William McGoey — along with returning members Trish Everhart and Nichole Stone. This year, the board chose JoAnne Harmon to serve as board president, with the board selecting Sandy Student as vice president. In early January, Brown spoke before several members of the local media to call for an independent third party to investigate allegations of sexual harassment Brown said he had learned of against the Evesham Township School district’s director of personnel, Richard Dantinne Jr.
Dantinne then launched a defamation lawsuit against Brown and Evesham Township Board of Education members Student, McGoey and Stone, who were also present at the January press conference. According to Brown, in December 2016, a female employee of the district told Brown that Dantinne sexually harassed her and several other district employees in 2015. With that information, Brown said he went to the Evesham Township Police Department to give an official statement to the police. However, according to the ETPD, while police did conduct an investigation into Brown’s claims, ETPD eventually closed the investigation with no criminal charges filed. Evesham Township School District Superintendent John Scavelli Jr. also said while specific matters are confidential in nature, the district has policies and procedures for dealing with allegations of sexual harassment. In the event of a sexual harassment allegation, Scavelli said an investigation is automatically triggered. 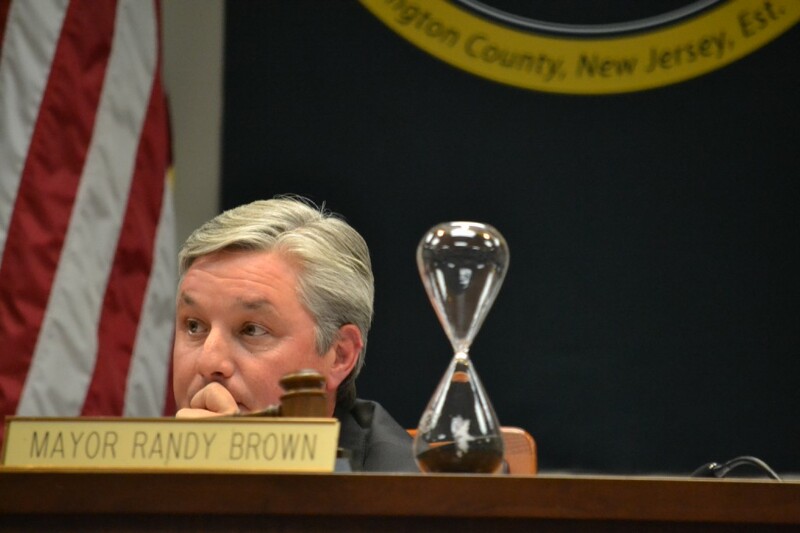 Complicating matters, Dantinne had already resigned from the district before Brown’s press conference to start a new position as human resources supervisor for the Gloucester Township School District. However, after Brown’s press conference, the GTSD Board of Education rescinded its job offer. In turn, the ETSD BOE eventually rescinded accepting Dantinne’s resignation, and he continued his work with the district throughout the year. In addition to suing Brown for defamation, Dantinne’s lawsuit against Brown claimed that Brown had used Dantinne as a “pawn” to get revenge against Scavelli. Brown has been frequent critic of the direction of the school district under Scavelli. Dantinne’s lawsuit also alleged that Brown was upset at the district turning down Brown’s son for a job in favor of hiring an African-American candidate, a situation the lawsuit alleges caused Brown to use a racial epithet when speaking to Scavelli about the new hire. In response to Dantinne’s lawsuit, Brown filed his own motion to dismiss. BOE meeting, criticizing board members who attended controversial press conference held by Mayor Randy Brown in January. It was March 2016 when the Evesham Township School District Board of Education first voted to close Evans Elementary School as a cost-saving measure and in response to declining enrollments across the district in the prior decade. However, new BOE members elected in November 2016 carried the fight over the school into 2017, as the board debated whether to proceed with plans to close the building at the end of the 2016–2017 school year. 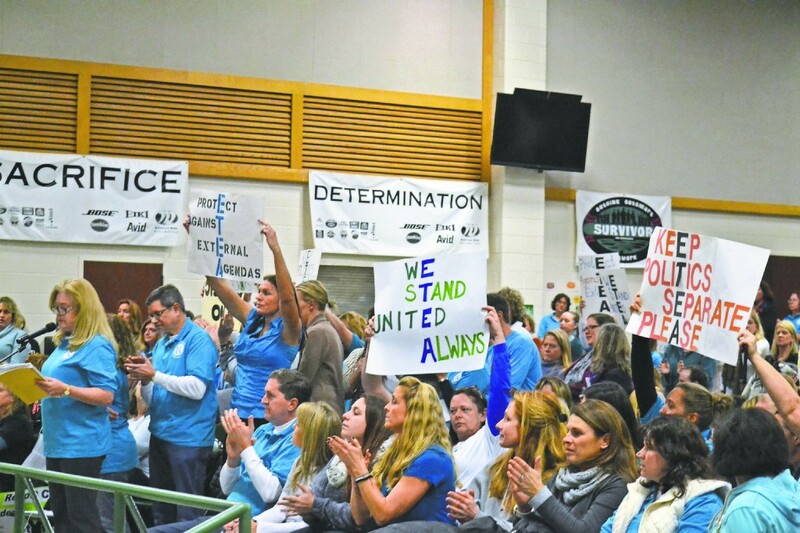 That debate came to a head in February when the board voted to continue the district’s previously approved consolidation plan, with a 5–4 vote that came toward the end of a nearly five-hour-long BOE meeting. Residents, district staff and BOE members all debated differing enrollment projections between the district and township, class sizes, financial concerns and the potential effects of closing a school on children. Ultimately, Harmon cast the deciding vote to continue with the consolation plan, despite having originally voted against the plan the previous year. With the school set to close, Evans families held several events to say goodbye to the school throughout the year, including opening the school’s annual ice cream social in June to all Evans students and staff, past and present. Hundreds of Evans faces, young and old, filled the building and school grounds to meet with old friends and see the school one last time. Many of the walls within the building were even lined with blank pieces of paper that day so visitors could write their own farewell messages to the school. Then-Evans Principal Nick DiBlasi, who would go on to serve as principal at Van Zant Elementary School for the 2017–2018 school year, said Evans was the district’s oldest school still open at the time, and the school always seemed to have a “special” kind of community spirit. Yet even with the building closed, debate surrounding the school continued, as the BOE eventually chose to rent the facility to the Y.A.L.E. School under a full-service, five-year lease agreement. With the first year’s rent totaling about $665,000 for the building, the district originally estimated about $250,000 in net profit from the facility yearly after operation costs. However, that projection was based off an estimated tax bill for the property of about $113,000. With the township’s tax assessor eventually citing about a $205,000 tax bill, the district’s estimated profit margin decreased. Regardless, Y.A.L.E. moved into the building at the start of the new school year and now occupies the space. According to the organization’s website, Y.A.L.E. provides education to students with emotional, social, learning and behavioral disabilities at various campuses throughout the state. 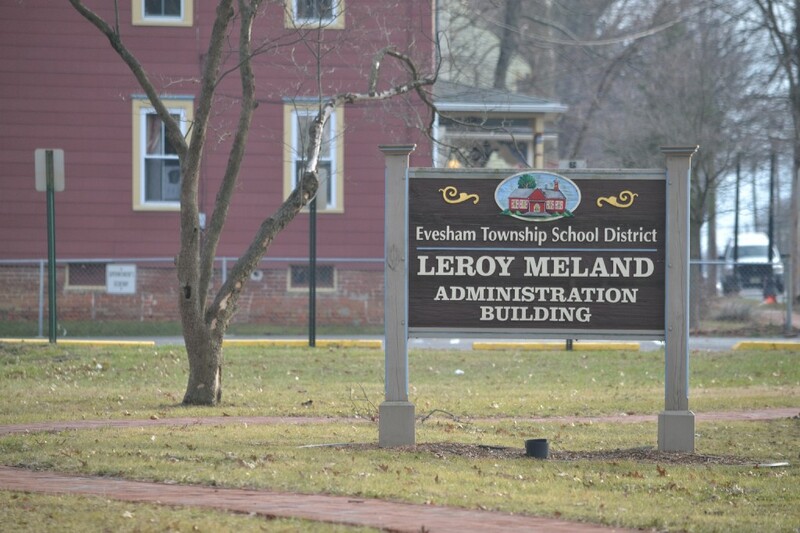 Brown and his fellow members of Evesham Township Council announced this spring the township would no longer be funding the School Resource Officer program that stationed police officers throughout Evesham’s elementary and middle schools. While council had previous paid the full cost of the program for the 2016–2017 school year, council announced the township would no longer be funding the program starting with the 2017–2018 school year. The township originally funded the full cost of the program in the hopes of dissociating the issue and its costs with the ETSD Board of Education’s financial debate over whether to close Evans Elementary School. However, once the board decided to continue with its plan to consolidate its schools, later in the year council announced a belief that it was time for the board to decide how it would fund the program moving forward. “I think the amount of officers we have is outstanding and it shouldn’t change, not one aspect of it, but it is now the responsibility of the school district,” Brown said. While the township had priced the cost of the program at about $500,000, the board eventually passed a budget funding half that amount, with $250,000 set aside for the program. 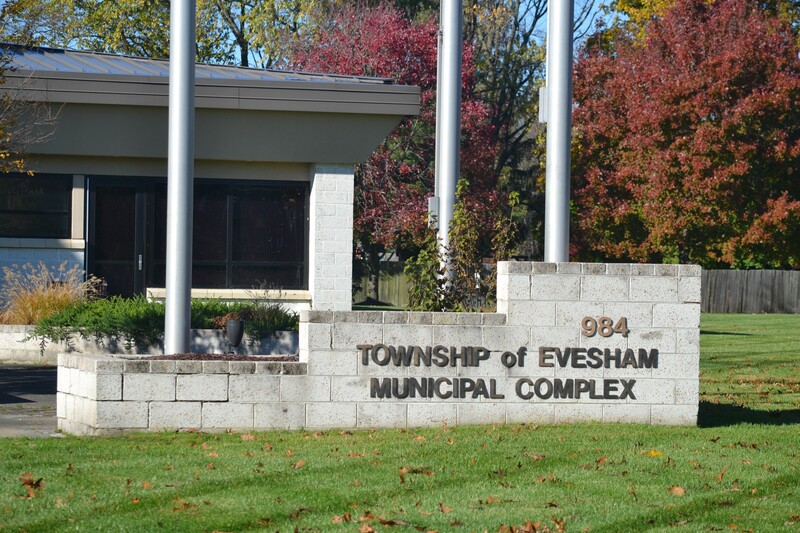 Although specific details were not released to the public about how the lesser amount of money affected the program, Evesham Township Manager Tom Czerniecki said there would be “scaling back” of the program. “That’s the direction we’ve received,” Czerniecki said. “I’m not going to talk about the details for security reasons, but that’s where we stand. This year’s girls varsity volleyball team will go down in Cherokee High School history, as the team reached the record for most wins in program history at 28. Those 28 wins saw the team win the NJSIAA Group IV Sectional Championship and reach the runner-up spot in the state tournament finals against Ridge High School. Throughout the season, the team also won the Williamstown Tournament Championship, the Spiketacular Championship, the Burlington County Championship, the Eastern Tournament Championship and the Olympic Conference American Division Championship. At an Evesham Township Council meeting in which council honored the team, coach Erika McGinley said the girls played a “very competitive” Group IV schedule. This year, the Cherokee High School marching band also had a repeat performance by once again winning the state championship for Group IVA at Rutgers University in October. Students found themselves facing off against a dozen other bands from New Jersey, but, under the under the direction of D. Michael Lynch, the band won the title, just as the group did in 2016. The band’s 81 student performers also helped the school win the caption awards for Best Percussion and Best Visual. This year, the band’s show was Contagion, arranged by Cherokee Class of 2012 alum Jake Kaplan, with the drill designed by assistant director Mitchell Stowman and choreography designed by color guard advisor Jeremy William. This year also saw another great year for Cherokee High School’s drama students, who performed “Anything Goes” as the spring musical and “White Christmas” for the fall show. With “Anything Goes” running over the Memorial Day weekend, and “White Christmas” running over the weekend after Thanksgiving, director Joe Fisicaro said each show brought energy and excitement to Cherokee’s stage and gave families a chance to spend a night out together. Moody’s Investors Service upgraded the township’s municipal credit rating from Aa3 to Aa2 this spring. Moody’s is one of three major credit rating agencies that assigns ratings to townships and other entities based on their financial health to allow investors to better judge the creditworthiness of bonds and the likelihood of debt repayment. Czerniecki said the credit rating upgrade allows the township to pay less interest on future debt issued to the township. “It’s an outstanding credit rating, but one we have to work to maintain,” Czerniecki said. 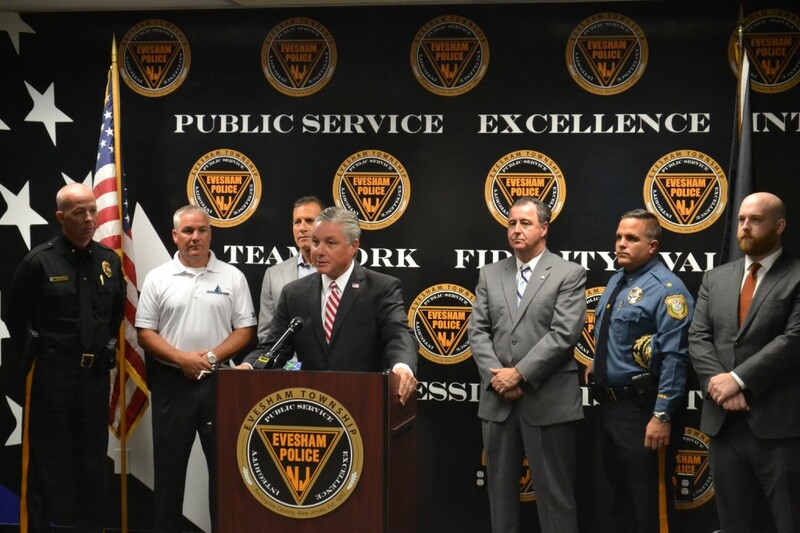 Evesham Township reorganized some of its departments to streamline operations and increase efficiency. With the township’s last major reorganization taking place in 2008, this new reorganization brought the creation a new Department of Public Affairs and Senior Services and a Department of Recreation and Open Space. The Department of Recreation of Open Space includes the township-owned Indian Spring Country Club, in addition to public lands, recreation, open space and parks. Czerniecki said having those assets under one department has allowed better coordination of playground maintenance, the township’s mowing contract and the use of field equipment. With a Public Affairs and Senior Services, Czerniecki said one department can now coordinate the township’s public events and community outreach, including operations of the Gibson House Community Center. Evesham Township Council adopted the 2017 municipal budget in June, with the budget raising the municipal tax rate from 41.57 cents per every $100 of assessed property value to 43.03 cents. For the average Evesham residential property valued at $269,900, the municipal tax rate increase equated to a rise of about $39.55 a year. According to Czerniecki, the increase was attributed to debt payments on the municipal-owned Indian Spring Golf Course and money to hire new police officers. For the school district, the 2017–2018 budget raised the district’s total general fund tax levy by 1.64 percent, with the school’s district tax bill increase for the average Evesham residential property equating to a rise of about $81.14 a year. According to district officials, one major driver of the increase was money toward the district’s School Resource Officer program. 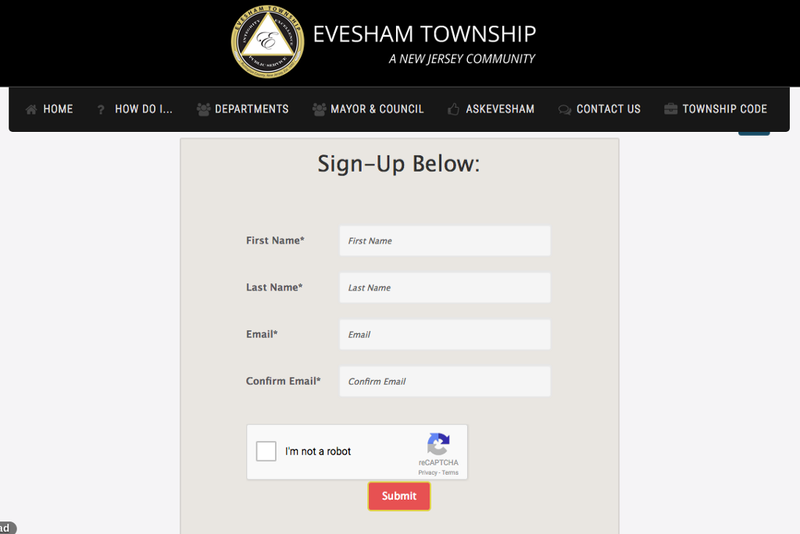 This year saw Evesham Township launch its own email newsletter entitled Everyday Evesham. Township officials say the purpose of the newsletter was to deliver information to residents who don’t necessarily follow the township through its various social media pages. With the newsletter, the township has the ability to provide residents with information such as new township rules and regulations, upcoming township-sponsored events, programs run through the township, road closures and more. Residents interested in receiving the “Everyday Evesham” can visit www.evesham-nj.org and click the red button on the left side of the website to sign up. “It’s just township happenings and all good stuff,” said township management analyst Allie Bittner. Residents at the Inglis Gardens independent housing complex received some good news this summer when the township announced it and Inglis Gardens had been approved for grants to build a sidewalk down a portion of North Elmwood Road. Residents of the complex have long desired the sidewalk, with residents saying a road without the sidewalk was dangerous to navigate due to their various disabilities. Residents of the complex say they often travel to the nearby Village at the Greens shopping center or St. Isaac Jogues Church. Although township efforts to build the sidewalk in the past had been blocked by archeological concerns and wetlands delineations from the state, this year township officials were able to get the necessary permits from the NJDEP to build a sidewalk about 750 feet from Inglis Gardens to Ross Way. With those permits, the township and Inglis Gardens were able to apply for funding through the 2017 Community Development Block Grant program, which is funded through the U.S. Department of Housing and Urban Development. 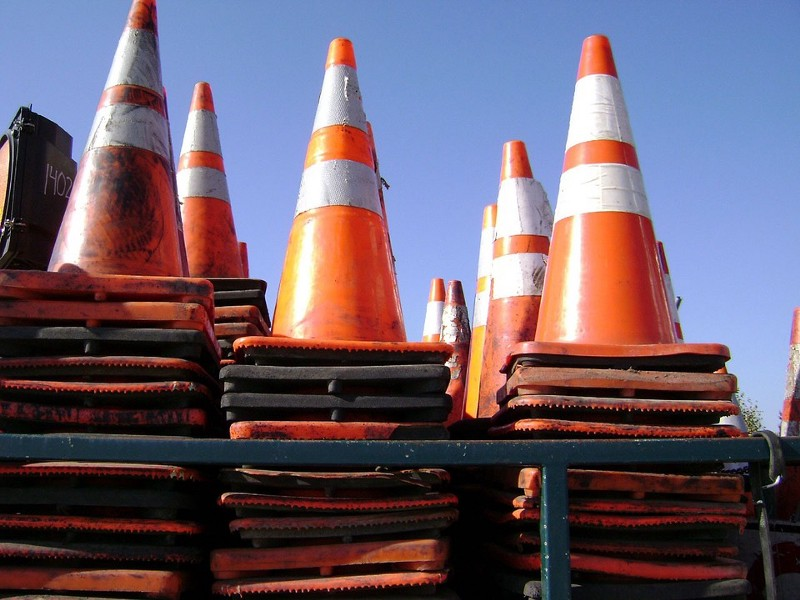 Officials from the state Department of Transportation appeared before Evesham Township Council this summer to talk about the possibility of adding a third lane of traffic to north-and-southbound sections of Route 73 in Evesham Township. Officials said the project would also most likely start after the Route 70 and Route 73 interchange and continue through Ardsley Drive. Officials also said the section of Route 73 the DOT studied in Evesham had more than 1.5 times the number of crashes as the state average for roadways of a similar type. Officials said 85 percent of those crashes stemmed from same-direction rear end crashes and same-direction sideswipe crashes. DOT officials said those crashes are indicative of congestion where the DOT sees stop-and-go traffic. Officials’ plans also suggested removing the northbound left turn along Route 73 at Evesham Road, with left-turning traffic instead directed to make a right turn onto Marlton Parkway and use a new roundabout at the intersection of Sagemore Drive to turn around and head back to the intersection to cross Route 73. With no final plans for the project having been approved, officials said any start of construction would be at least five years away. 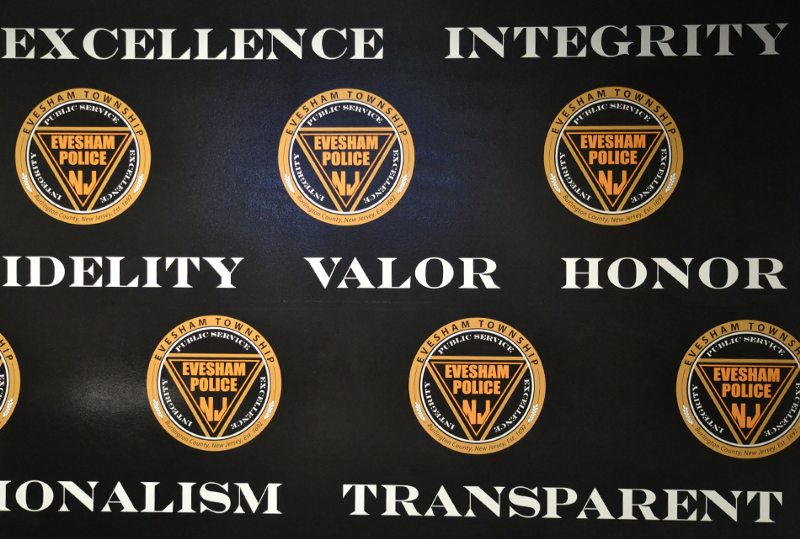 This year, the Evesham Township Police Department earned its second reaccreditation through the Commission on Accreditation of Law Enforcement Agencies. 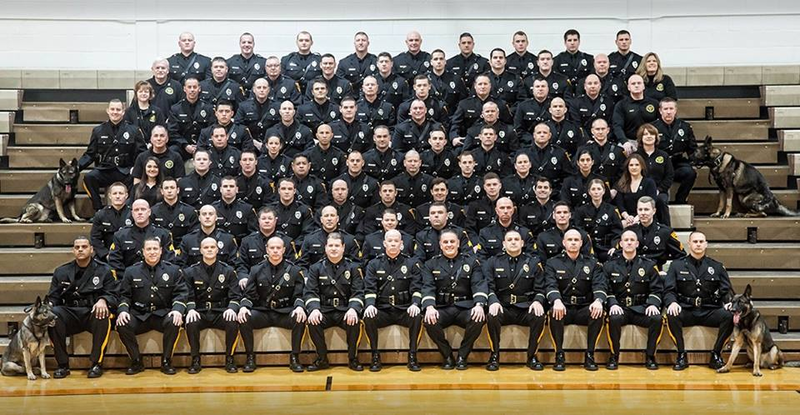 Created in 1979 through a joint effort between the International Association of Chiefs of Police, National Organization of Black Law Enforcement, CALEA grants credentials to law enforcement agencies in the United States that maintain high standards of safety, efficiency and professionalism. This year’s reaccreditation is the third instance of the department successfully complying with CALEA’s nearly 500 standards, beginning when the department was first accredited in 2011. For the ETPD to gain this recent reaccreditation, a CALEA assessment team visited the department to review its operations over a period of several days this summer. The assessment team also interviewed members of the community, along with township officials and members of the department. Assessment team leader Bradley Biller said citizens expressed their sense of safety and of the commitment agency personnel have for them. “These sentiments express the spirit of CALEA — providing and promoting positive interactions between the agency and the citizens they are sworn to serve,” Biller said. Joseph Bichler, a longtime firefighter and EMT with Evesham Fire-Rescue, passed away suddenly in October 2016 from cardiac arrest. Yet despite his death in 2016, this year saw that Bichler and his 33 years of service to the township were not forgotten. With that classification, Bichler’s name was part of the list added to a bronze plaque during this year’s National Fallen Firefighters Memorial service. Bichler’s service to the township dates back to 1983 when he joined what was then the Marlton Fire Company. After the company merged with the Marlton First Aid Squad in 1988, Bichler became cross-trained as an EMT. 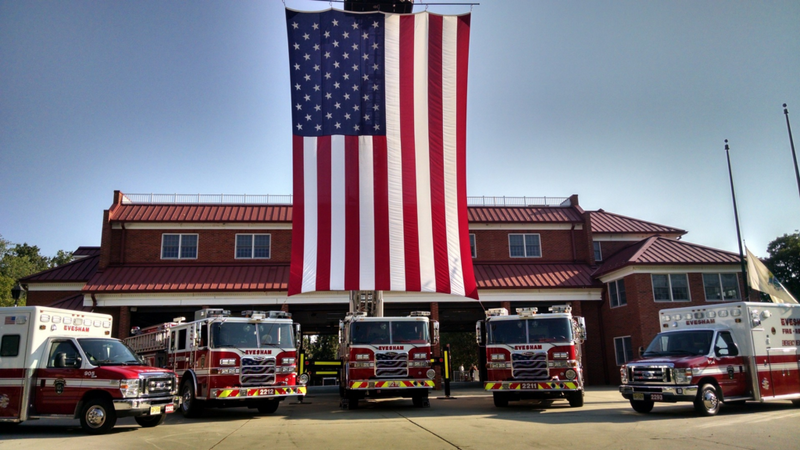 Evesham Fire-Rescue Chief Bryan Ward has described Bichler’s service to Evesham Fire-Rescue and his response to fire and medical emergencies as having impacted countless lives in the community. This year’s annual Fourth of July parade marked 10 years of the Evesham Celebrations Foundation planning community events throughout the township. 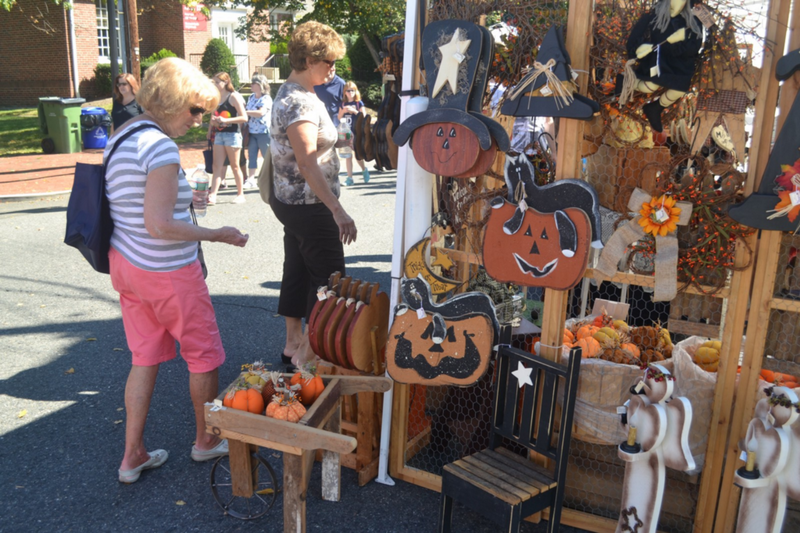 The nonprofit foundation is responsible for raising funds and organizing many of the township’s largest community events during the year, including Fourth of July festivities, Harvest Fest and the Taste of Evesham food festival. 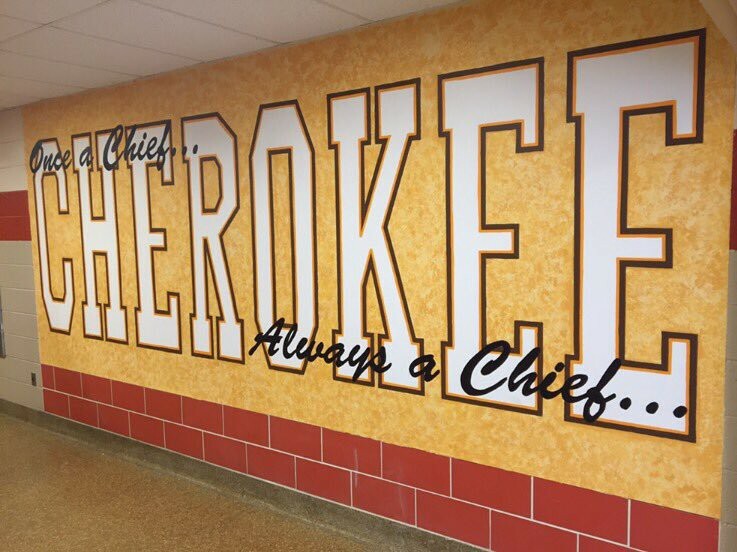 The group also gives back to the community through less publicized operations, such as providing scholarships to graduating Cherokee High School seniors and helping the Evesham Holiday Wishes program that provides toys to local children during the holidays. Councilmember and Evesham Celebrations Foundation President Ken D’Andrea marked the foundation’s milestone this year at a council meeting in July. It’s been 10 years of doing this, and hopefully everyone had a good time,” D’Andrea said. 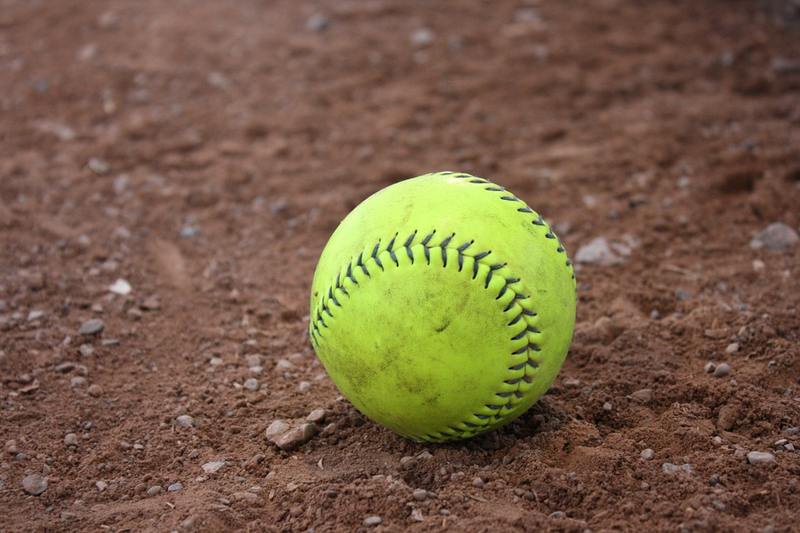 This summer marked the second year of what is becoming another annual tradition in the township, when Evesham held its second annual Fallen Heroes Softball Tournament in August. With 12 teams comprised of players from local residents and organizations, the event raised funds for families of any area first responders who were seriously injured or killed in the line of duty. Teams playing in the tournament represented Evesham Police, Evesham Fire, Evesham Township employees, Evesham school teachers, the Marlton Recreation Council, the Marlton Business Association, Mayor Randy Brown, the Burlington County Prosecutor’s Office, Oak Mortgage, Virtua Hospital, Evesham Mortgage and Burns Auto Dealership. “It’s money we hope we never have to spend, but unfortunately because of the times, things happen throughout the area, and we want to be in a position to help those fallen heroes who give the ultimate sacrifice,” said Evesham Police captain and tournament organizer Walt Miller. This year saw Evesham Township work with neighboring Voorhees to extend the local Saving Lives designated driver program for another year. The program allows intoxicated Evesham and Voorhees residents to use private ride service Uber for free rides to their homes when they’re leaving bars and restaurants in Evesham and Voorhees between 9 p.m. and 2 a.m. According to officials at a press conference announcing the extension of the program, the program had brought between 5,000 to 6,000 residents to their homes in the two years since it began. “We talk about in politics private-public partnerships, well today is truly a day that we can proclaim the success of private-public partnership,” Brown said. While there were no municipal elections in Evesham Township in 2017, there was a contested race for three seats on the Evesham Township School District Board of Education. For the three seats for three-year terms on the Evesham Township School District Board of Education, incumbent Elaine Barbagiovanni won her her seat for another term, along with newcomers Lea Ryan and Janis Knoll. 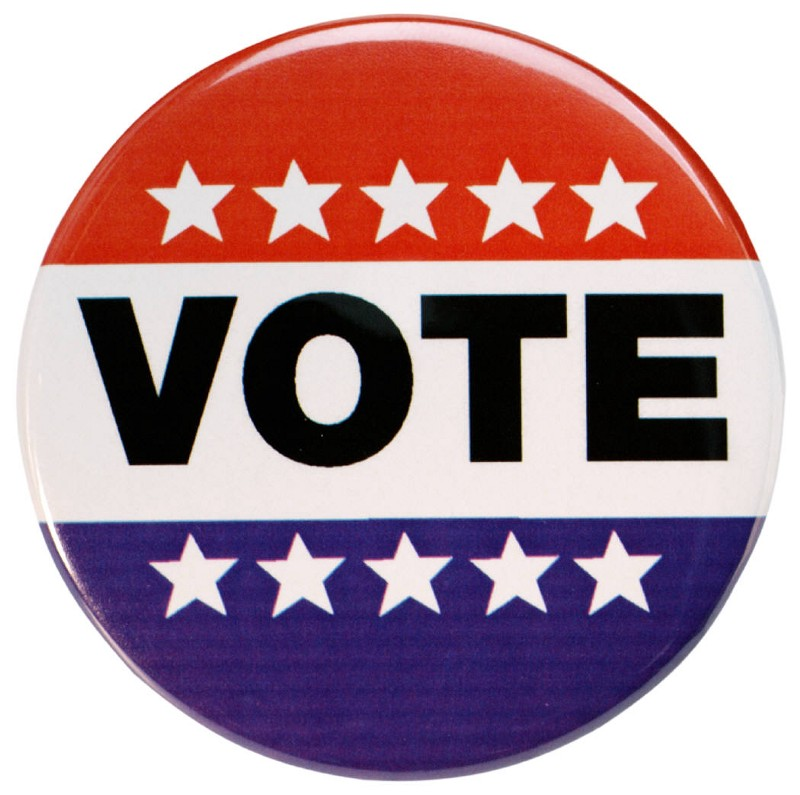 Others running on the ballot included Jayesh Parikh and Bennie Roberson. Several hundred Evesham residents also selected a personal choice. In the race for one seat on the Lenape Regional High School District Board of Education, incumbent Evesham representative Barry Fitzgerald ran unopposed and won re-election.